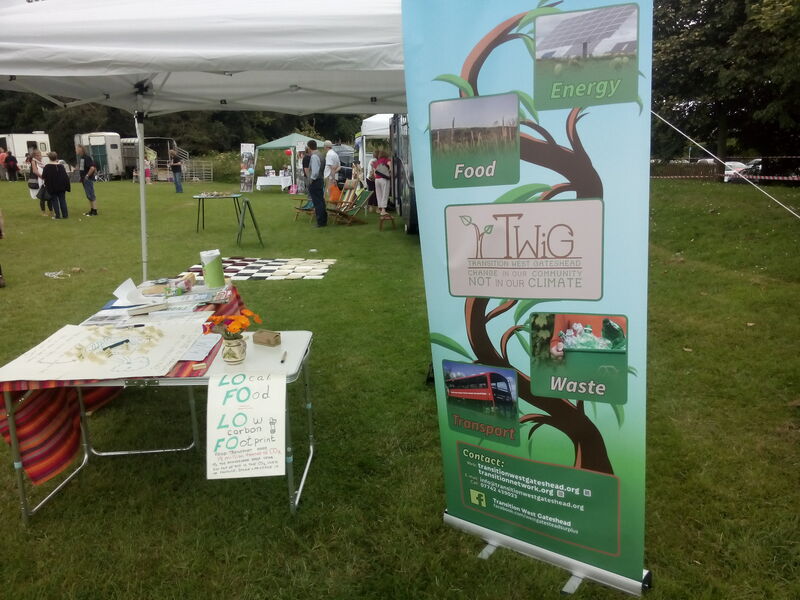 We had a TWiG stall at the Last shift Festival in Greenside on Saturday (23rd. 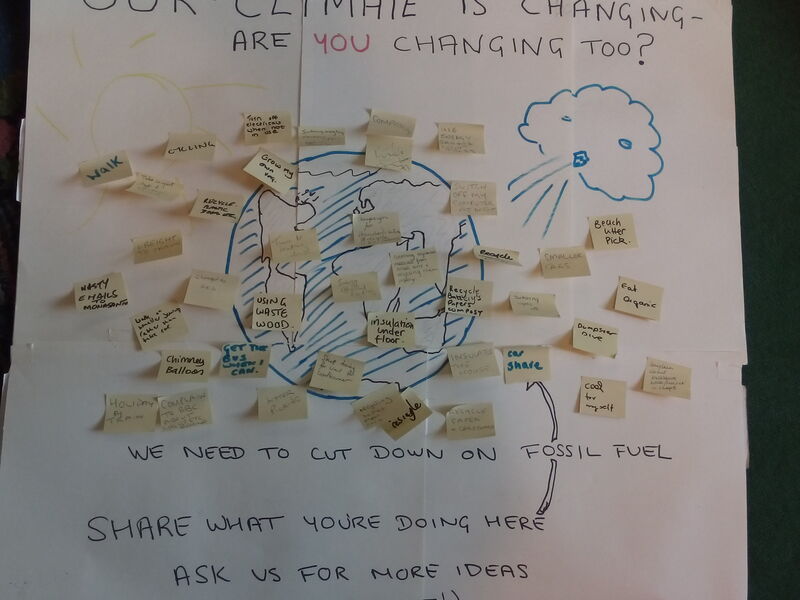 July 2016) and asked people to share what they’re doing to reduce their use of fossil fuels, save energy and save the planet. We were really chuffed that so many people were interested and are already working on this – we learnt a few things ourselves. Get the bus when I can. Recycling (6) – bottles, paper, cans, cardboard, batteries, mobile phones. Collect recyclable materials from school bins and recycle them properly. Campaign for standardisation of recycle bin colours. Skip dive for wood for woodburner. Take compostable materials to Whickham (? Nurseries or Community Garden?). Complain to BBC about logos and monitors behind the news. Send nasty e-mails to Monsanto (GM seeds). Complain about excessive noise/musak in shops.